Holiday House has featured top interior designers, received critical acclaim, and has been supported and endorsed by some of the most celebrated global luxury brands. Holiday House is unique because each design space is themed around a holiday or special moment in life that inspires the designer. 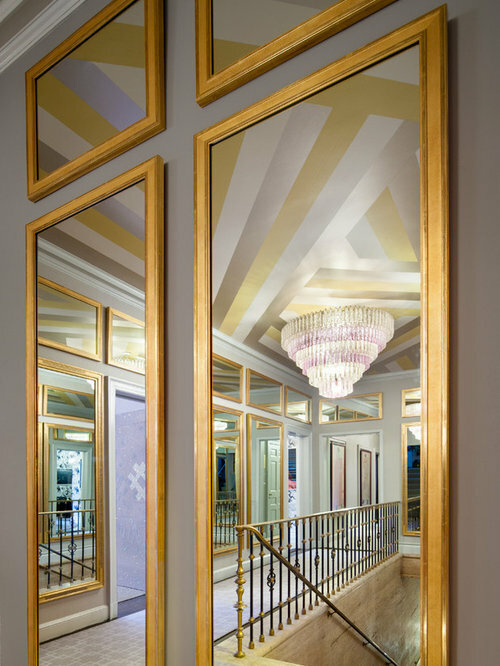 We were proud to contribute framed mirrors of multiple sizes throughout the hallways. 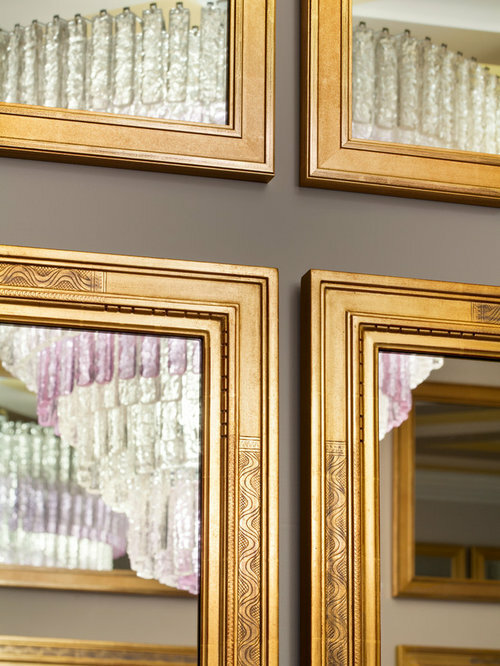 Classic, elegant ornamental gold mirrors framed by J Pocker adorn the muted gray walls. 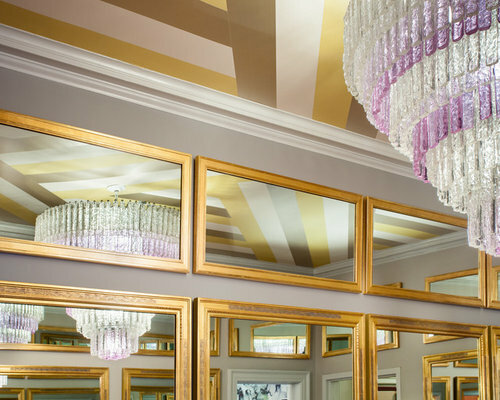 A chic crystal chandelier appears suspended below a modern gold, gray and white striped ceiling. 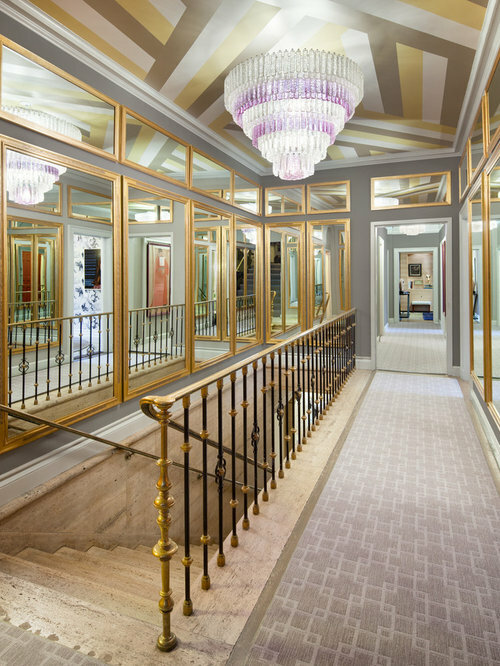 Gilded mirrors line each side of the hall, beautifying the space. 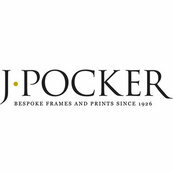 A close up of the interplay between symmetrically placed golden mirrors framed by J Pocker. This mirror in its luxurious gold frame offers a glimpse of the decadent space.